ThemeWagon's Unbelievable Black Friday Sale is Going On! Some people say it doesn’t exist, or that it’s just a myth. But it’s very, very real. 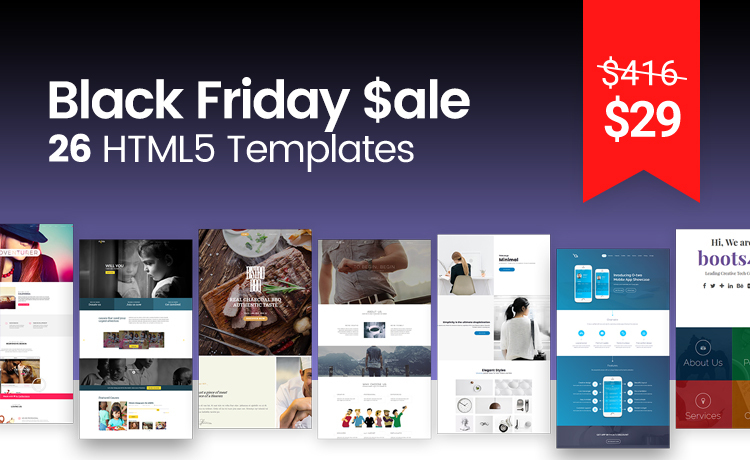 And it’s back... At our annual Black Friday, Get 26 high-quality premium templates only @ $29!! !